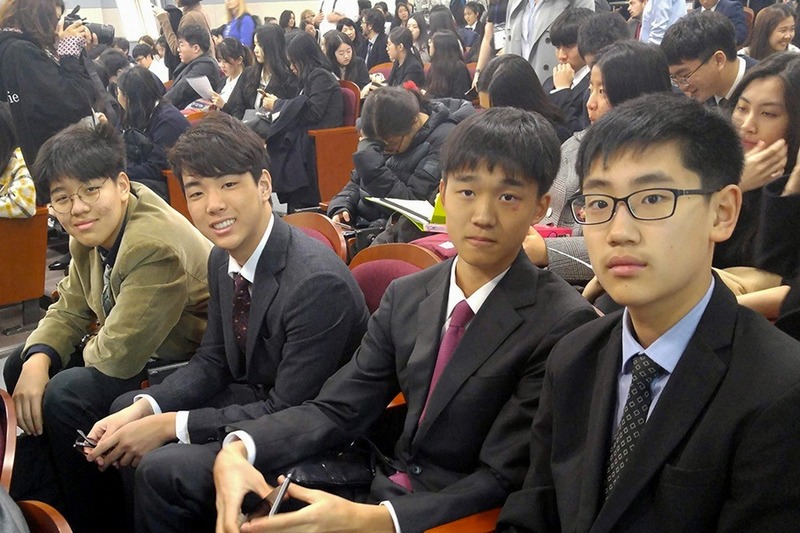 From March 28-30, the high school Model UN team traveled to Jeju to debate topics ranging from the construction of a wall between the US and Mexico to the 1932 Disarmament Conference in Geneva. 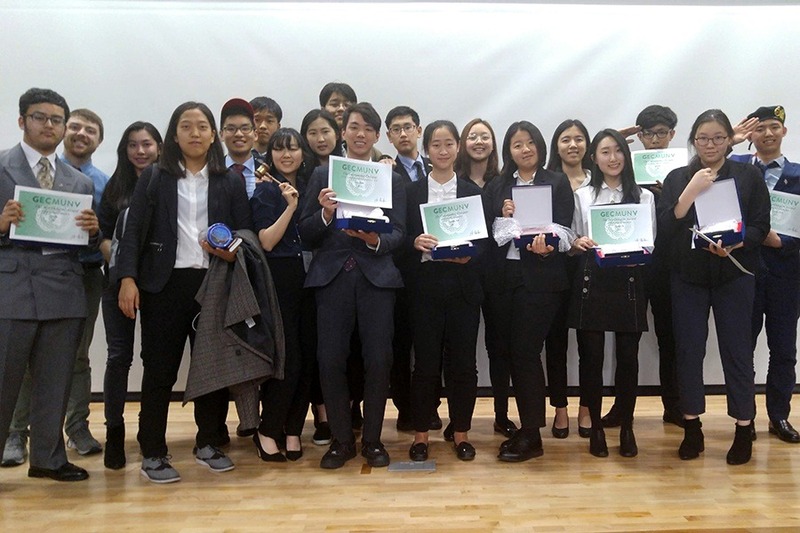 Over 225 students from 13 international schools participated in the Global Education City Model United Nations (GECMUN) conference, and YISS students relied on quick thinking, persuasive speeches, and interpersonal skills to claim awards in every committee in which they participated. The hard work all the students put into researching for the conference paid off as almost every delegate won an award. The time they had spent practicing debates during club meetings and adapting to the unfamiliar rules of crisis committees was clear when YISS also won Best School Delegation. In addition, six seniors chaired committees at the conference, giving up their Spring Break to spend the last conference of their high school MUN careers moderating debates and helping delegates grow. As chairs, the seniors saw months of preparation and planning come to fruition over the weekend in Jeju. 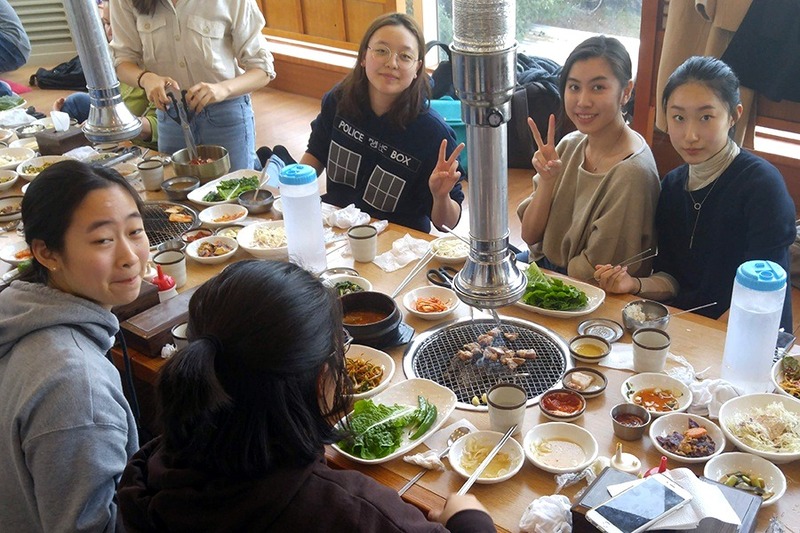 The students also spent a day relaxing on Jeju Island as they ate delicious black pork and wandered through Hallim Park, growing closer to one another through these bonding moments. 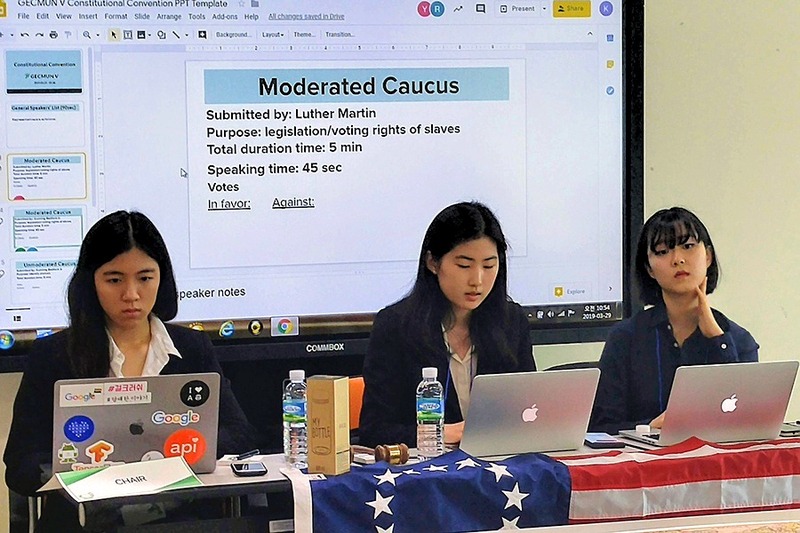 This conference marked the final competition and the end of a successful year for the YISS high school MUN team, which won four Best Delegate awards, 10 Outstanding Delegate awards, two Honorable Mentions, and two Verbal Commendations this year. The high school MUN team looks to continue their tradition of achievement next year with new and returning students alike.